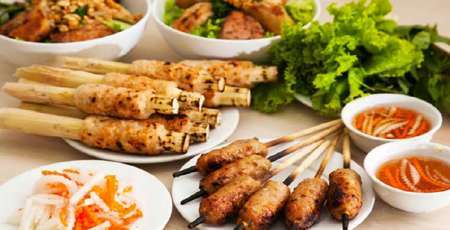 The imperial Hue city always has a distinctive cuisine with diminutive rolls, savory pancakes, dumplings, skewers and other snack bites. 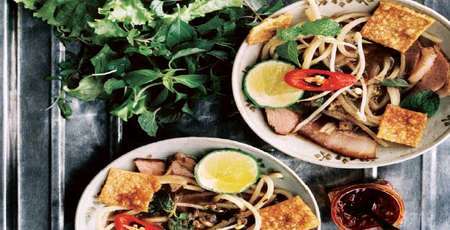 However, among this gastronomy diverse, Hue is specially well known for the delicate flavor of beef soup or Bun bo Hue. Bun bo or so called beef soup has it origin from Hue, a former capital of Vietnam. 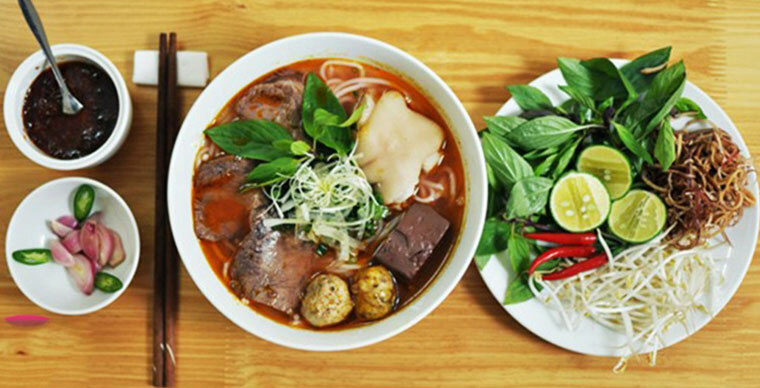 Outside the city of Hue and some parts of Central Vietnam, it is called Bun bo Hue to denote its origin. 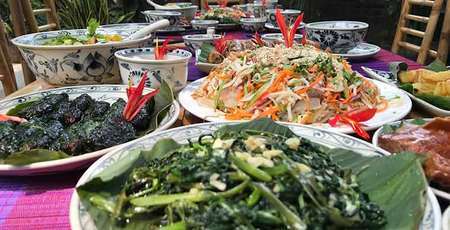 Within Hue and surrounding cities, it is known simply as bun bo. Since it’s reputation has been spread out widely, tourist can taste Bun bo Hue in every big city, especially Hanoi and Saigon. However, the origin and quintessence of this beef soup can only be found in Hue city. ♦ What make the special flavour? If Italian offers the world many type of fresh pasta and Japanese has it Ramen, Bun bo Hue is the pride of Vietnamese people, especially, people from the center region as Hue city. So, the question is what makes the distinct flavor of Bun bo Hue. 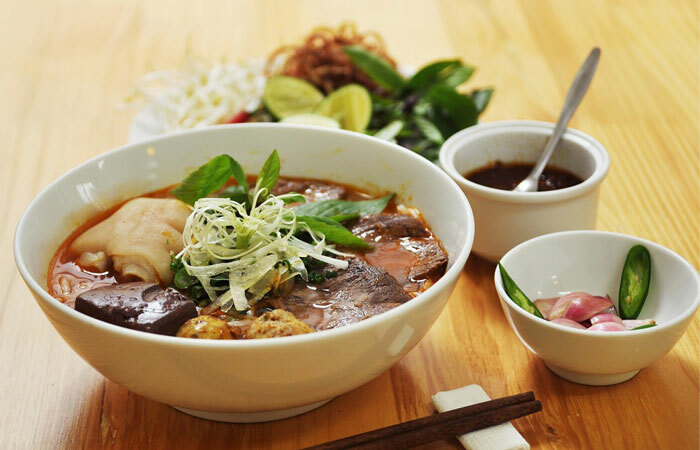 Bun bo Hue is a popular soup in Huế containing rice vermicelli and beef cooked with the former royal court style. 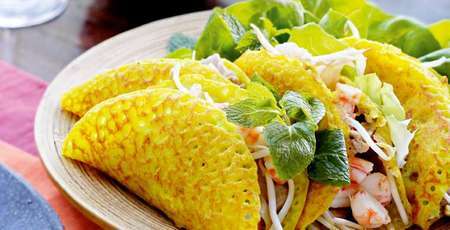 This dish is admired for its perfect combination of spicy, sour, salty, sweet and the predominant flavor of lemon grass. 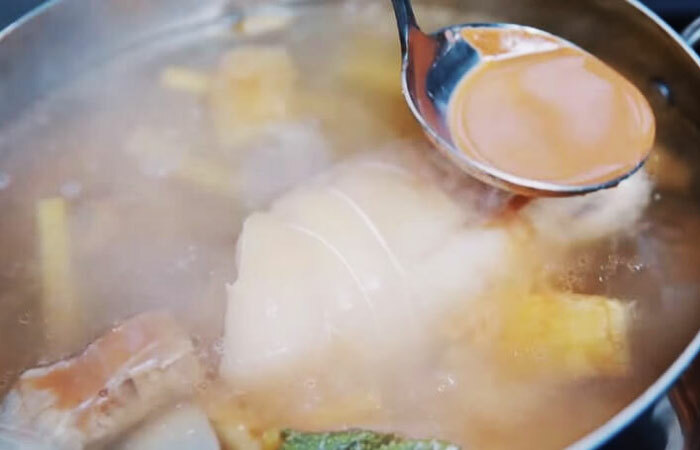 The broth is prepared by simmering beef bones and beef shank with lemongrass and then seasoned with fermented shrimp sauce and sugar for taste. Spicy chili oil is added later during the cooking process. 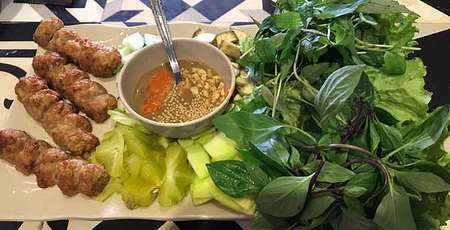 Unlike Italian pasta, most of the Vietnamese noodles are made from rice. 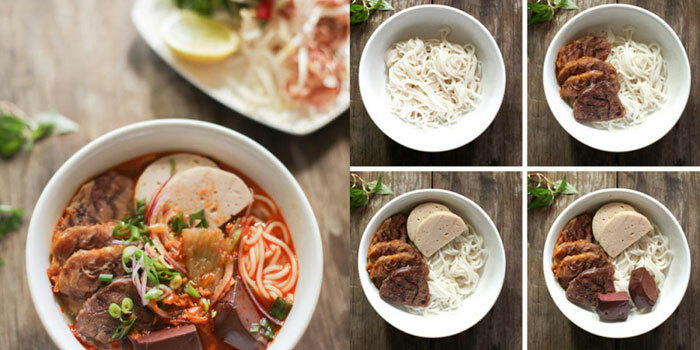 However, in comparaison with "Phở" or "Bún", the noodles of Bun bo Hue are thicker and more cylindrical. In general, Bun bo Hue usually includes thin slices of marinated and boiled beef shank, chunks of oxtail, and pig's knuckles. 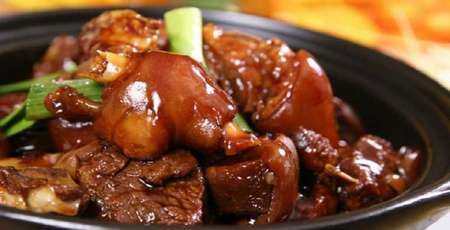 It can also include cubes of congealed pig blood, which has a color between dark brown and maroon, and a texture resembling firm tofu. Bun bo Hue is commonly served with lime wedges, cilantro sprigs, diced green onions, raw sliced onions, chili sauce, thinly sliced banana blossom, red cabbage, mint, basil, perilla, persicaria odorata or Vietnamese coriander, saw tooth herb and sometimes mung bean sprouts. Thinly sliced purple cabbage is acceptable substitute when banana blossoms are not available. Purple cabbage most resembles banana blossom in texture, though not in taste. Fish sauce and shrimp sauce is added to the soup according to taste. Ingredients might be varied by regions due to their availability. Bun bo Hue - 204B Hang Bông Street, Hoan Kiem District. Bun bo Hue 31, 31 Mac Dinh Chi Street, 1st district.